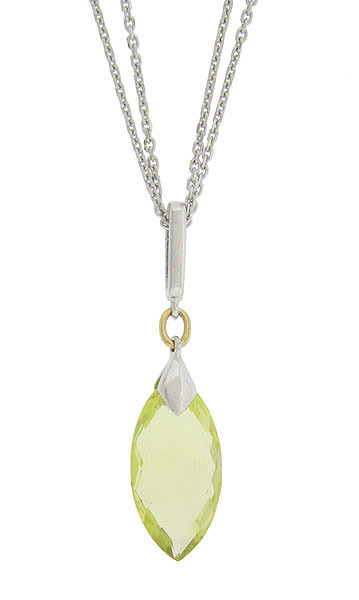 A bright yellow faceted lemon quartz dangles from an elongated clasp on this fantastic sterling silver necklace. The center pendant measures 1 3/8" long. The double chain measures 16" long.